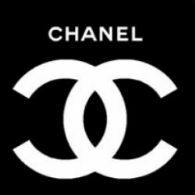 Sydney, May 24, 2011 (Global Fashion Wire) - Head perfumer at Chanel, Jacques Polge, has unveiled this week the French fashion house will be launching two new perfumes. Speaking with WWD (Women's Wear Daily) Polge revealed Chanel is reworking the classic Chanel No. 19, named 'No. 19 Poudre', which will focus on the more delicate, lighter aspects in the formula and introduced the upcoming Chanel Les Exclusifs, 'Jersey'. "We've found some new musks that are very interesting, and we're working a lot at the moment on iris, which is a very important ingredient in No. 19 Poudre. We have our plantations in Grasse, with rose and jasmine, and we're trying to find new qualitites in those. But we're also trying to reproduce what was done 40 years ago, that nobody does anymore" - commented Jacques Polge. Chanel's No. 19 Poudre and Les Exclusifs - Jersey, are said to be available in stores during Autumn (Fall) 2011 throughout the UK, Europe and the US.